Real estate is a tremendous asset. Used in the best possible way, it will ensure that you can do more with all of the space you have on-hand. This means enhancing storage systems, as well as racking and pallet patterns. Make sure that receiving areas have the necessary space for speedy operations. Create pre-decided pick paths to move things through your warehouse more effectively. Lack of communication is a huge challenge within the logistical chain. Effective communication maximizes productivity. 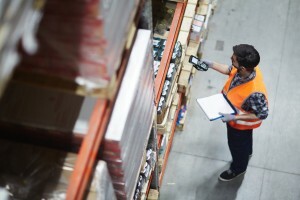 If everyone involved in making supply chain decisions is on the same page, a warehouse is going to be able to plan and execute shipments that much more quickly. This can be achieved through using the right applications, software, and other tools. This is an important consideration that comes down to having procedures ready to fulfill orders and ship them out. Order picking should not take so much time that it costs your business money. To effectively manage time, guesswork in the location of stock must be eliminated. Stock should always be stored in its correct place, in properly identified areas. A breakdown in accuracy or tracking of goods can be traced to several areas. There might be incorrect receipts and purchase orders. If information is recorded via manual tracking system, it should always be verified for accuracy. Your warehouse staff must also be properly trained in order to handle errors from other departments. More useful online-based cloud management software can bring greater accuracy and transparency to your entire warehouse operation. Today, customers have learned to expect more than ever before, including shorter shipping times, perfect order accuracy, and amazing customer service. When you get specific requests from customers, you must give them exactly what they want. To do otherwise means risking disaster. An effective warehouse is going to account for individual customer preferences by automatically creating the right type of labels. If your inventory isn’t accurate, that could lead to shortages, delays in fulfillment, and out-of-stocks that are going to diminish the satisfaction of your customers. Repeating the same processes ends up increasing your labor costs. See the example of how documents like pick tickets sometimes have to pass through many channels; this can all be eliminated by using barcode technology, which is found in warehouses that use modern automated systems. Cut down on the time it takes to fulfill an order by using a system to manage purchase orders that gives you all the relevant information (pick list, SKU number, and location) to increase efficiency. What are your most popular products? Generally, every business operates on the 80/20 rule where 20 percent of your inventory generates 80 percent of your sales. Look closely at the other 20 percent of products to see what else customers are demanding. Being able to continually meet their needs, while eliminating stock that isn’t in demand, will make your business a winner each and every time. To speed up the process of picking orders, avoid manually entering SKU’s, and instead, use a scanner or image capture on your smartphone or tablet in order to get the most up-to-date reading of your inventory. Beware that shrink wrapping, lamination, as well as certain color combinations can cause a barcode to not scan properly. Automated processes and set picking routes will allow you to optimize your warehouse management. Also consider changing the aisle width based on your forklift configuration. It is critical that invoices match what is received on purchase orders. A business that is growing can have a lot of things happening that are unseen or not scrutinized enough because purchase orders will be larger and more complex. Having accurate information helps remedy issues much more easily. In warehousing operations, whenever items are broken, it becomes expensive. While some damage is inevitable, it can be greatly reduced through proper warehouse management. Always look for pallets that have broken planks, stringers, or nails because they can break. Pallets also have to be stacked, loaded and wrapped correctly. An efficient warehouse is going to be properly lit, clean, and one that avoids overloading shelves and racks. Rack safety netting, pallet rack column protectors, accumulation conveyors, low clearance warning bars, and steel guarding are all also important to install to protect both product and people. Seasonality, changes in the economy, weather, and many other factors play a role in volatility of demand. For example, a global financial crisis will result in decreased consumer confidence, and therefore, more products sitting in warehouses. Warehouses must always use timely and accurate information in order to forecast demand. The net result of globalization has been a massive influx of competition from abroad. Products from certain countries don’t always provide the same level of workmanship that you might take personal pride in offering, but their lower production costs can kill your business. Effective warehouse management will save you both time and money through automated processes and greater accuracy in delivering orders. That’s something that those abroad may not be able to do nearly as well. Get Warehouse Management Systems and Services from APS Fulfillment, Inc.
Are you looking for the most effective solution to any challenges you’re experiencing in warehouse management? If so, then APS Fulfillment Inc.’s warehouse management systems can help your business grow while lowering costs. We’re experts at managing warehouses because we know so much about the process. For more information or to request a quote about our services, you can contact us by e-mail at [email protected] or by phone at (954) 582-7450.